Facebook Breakout Concept for Cars 3. STAPLES Center backstage and concourse wall wrap campaign and design. Facebook Canvas Ad for Pirates of the Caribbean. Design and Illustration for Katy Perry welcome banner. Taylor Swift Championship Banner design. 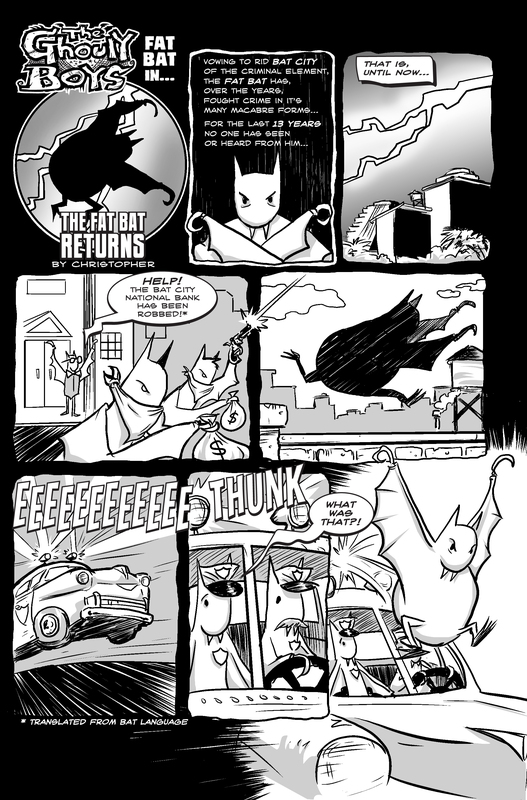 As part of "Inktober" and "Mabs Drawlloween Club", and in honor of the 13th Anniversary of The Ghouly Boys, I have created a brand new 3-page Fat Bat short story. This is the first new Ghouly Boys comic in over a decade. Hope you enjoy it. Feel free to download, share and spread the word. Invincible Studios is a graphic design and art studio owned and operated by Christopher Higginson.